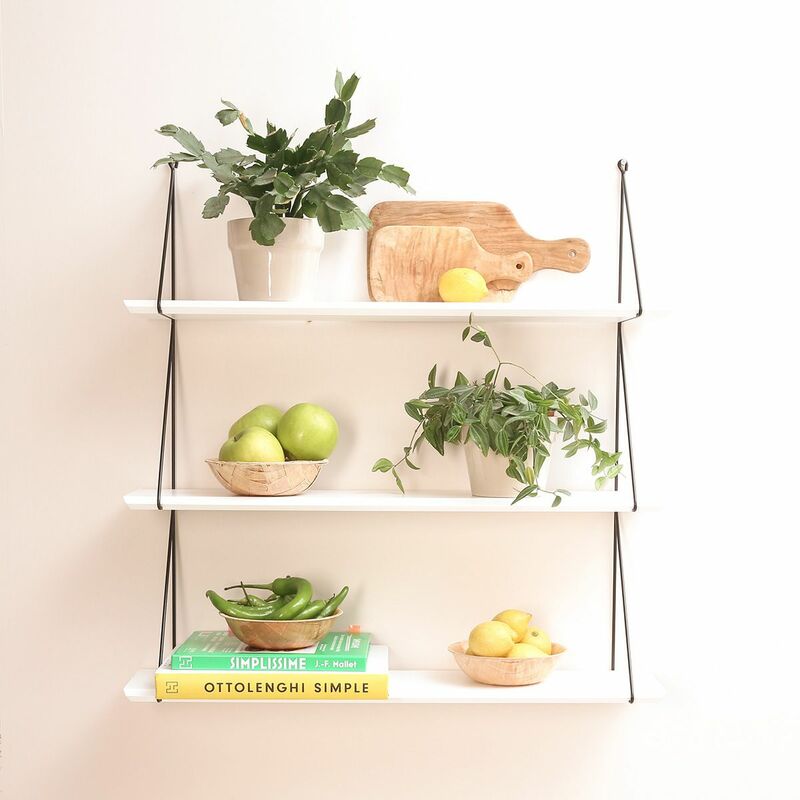 This simple and stylish set of three shelves, with its clean lines and colours creates instant storage in any room for some of your favourite things. They're made from solid pine and metal that have both been powder coated with water based paints. They work well almost anywhere in the house, they're easy to install and come in a variety of colours to suit all decors and rooms.